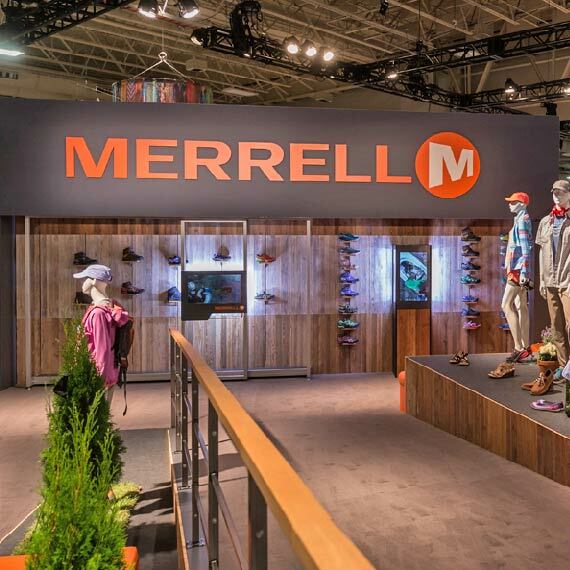 Merrell produces one of the largest and most diverse collection of outdoor wearables for the adventurer. From shoes and socks, to jackets, hats, and packs – they have you covered. With a footwear catalog of over 900 unique SKUs alone, there is a grand story to tell. Designing a flagship tradeshow booth during a concurrent re-branding, involved moving targets of strategy and implementation. Delivering a tradeshow booth experience that sparked a new brand direction was a monumental task. In addition to a booth design that focused on a walking/story telling experience, Built developed a completely novel technology and interaction. 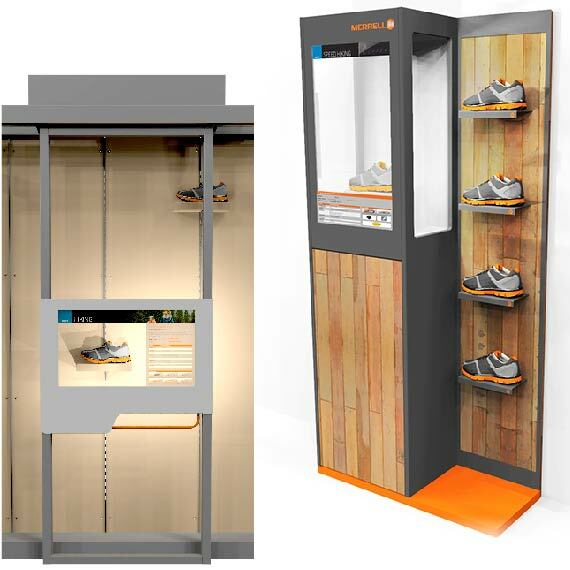 Built delivered a new way to pair the right shoe with the consumer through the use of first of its kind transparent screens, RFID chipped product, touch screen overlays and the software to drive it. It is not always a brand that speaks to a consumer – it is a two-way conversation that yields an emotional experience. We design that.